The SDN-ready MX104 3D Universal Edge Router is a modular, highly redundant and full-featured MX Series platform built for space and power-constrained service provider and enterprise facilities. 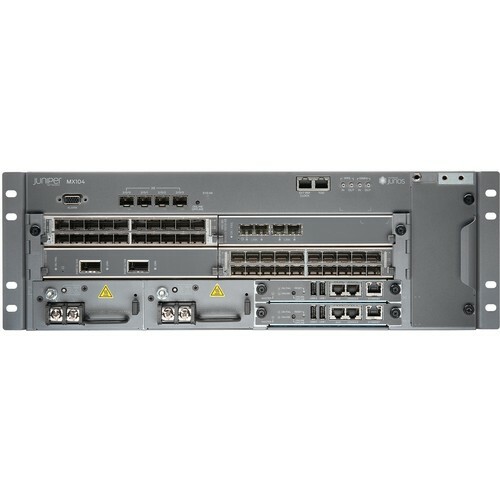 The MX104 is designed to aggregate enterprise, mobile, business, and residential access services, in addition to delivering edge services for metro providers. 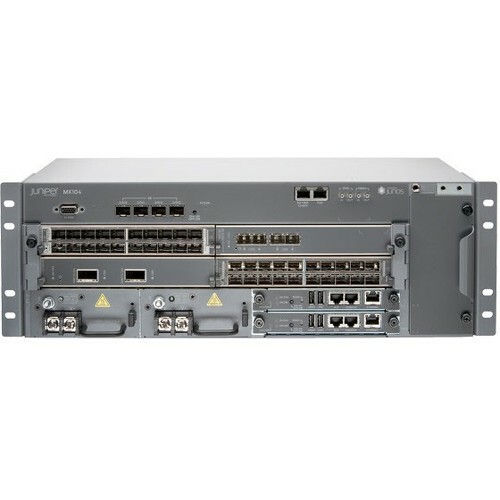 The MX104 offers 80 Gbps of capacity, with four fixed 10GbE ports and four Modular Interface Card (MIC) slots for flexible network connectivity and virtualized network services. Optimized for central office deployment, the MX104 supports a redundant control plane for high availability, and its chassis is environmentally hardened for deployment in outside cabinets and remote terminals.